The Islamic Center of America is one of the biggest mosques in the United States and it is the centerpiece of one of the largest Muslim communities in the United States, considering its close location to Detroit. That makes it a target of every nut case in the US with a grudge, and that includes a man from Imperial Beach, California, named Roger Stockham. California native Roger Stockham was apprehended outside a Dearborn, Michigan, mosque with explosives in his SUV. Stockham was apparently carrying a large amount of M-80 fireworks; each M-80 is about a quarter-stick of dynamite. 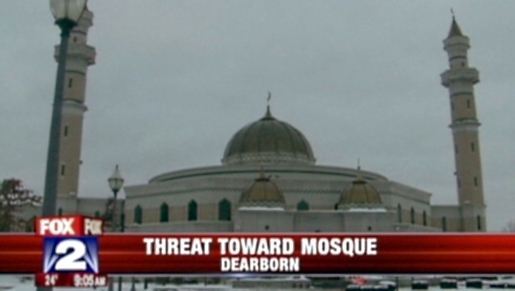 Dearborn, Michigan, is the home of one of America’s largest Muslim communities. Included in this number is Miss USA 2010 Rima Fakih. The Islamic Center of America is the largest mosque in the United States. At the time of Stockham’s attempted terrorist attack, a funeral was taking place inside the building. Stockham was jailed on $500,000 bond on Sunday, pending a psychiatric evaluation.